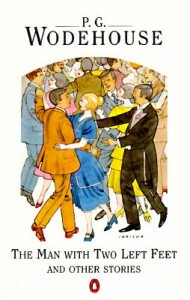 Another collection of Wodehouse stories, only one of which (“Extricating Young Gussie”) is a Bertie Wooster story. Reading these stories at the same time as the Sturgeon volume constantly had me drawing comparisons between the two writers. Wodehouse never wrote fantasy per se (that is, Bertie Wooster never encountered a genie or a god in his garden), but in truth his stories were always fantastical. As commentators have said, the idyllic world of young men in spats and authoritative aunts was a figment of Wodehouse’s imagination, and never existed at any time in England. I don’t think Wodehouse would have disagreed; he knew the power of fantasy. In this volume, he tells one story (“The Mixer”) from the point of view of a dog, and one of his habits was to read the entire Shakespeare’s collected works every year, and Willy wasn’t a stranger to fantasy, either.